This custom 4-inch Accomplice fixed blade by John Gray features a full-tang CPM-S30V stainless steel blade with high flat grind and dark rain finish. It comes fitted with black G-10 scales and sports a large finger ring. 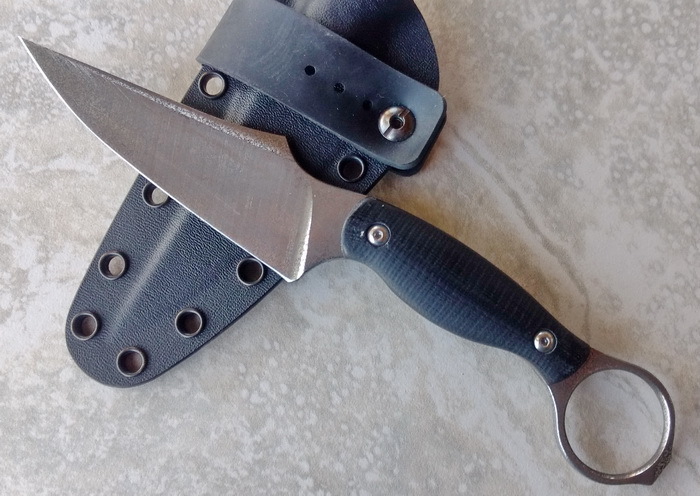 Includes a Kydex sheath with rubber loop for secure carry and storage.